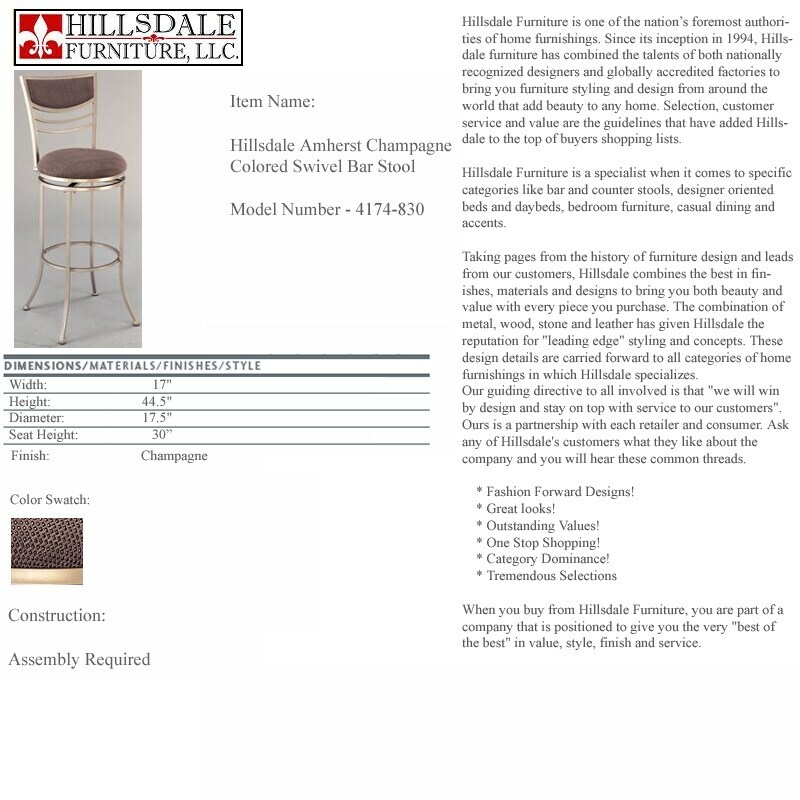 The Amherst stool combines a charcoal hued fabric with a champagne finished frame. This rich blend of colors and textures and a clean transitional design creates a perfect balance. The stools swivel 360 degrees and are composed of heavy gauge tubular steel.